What incredible achievements by our Australian writers and illustrators for young people as shown by this year’s CBCA winning and honour books. 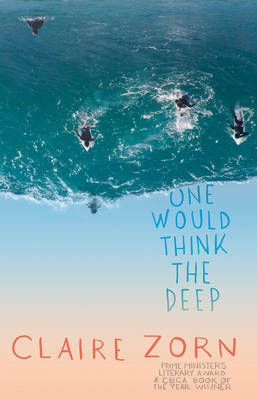 Claire Zorn stands out again with her extraordinary One Would Think the Deep (University of Queensland Press). She won both CBCA Older Readers’ category and the Prime Minister’s Literary Award with her previous novel, The Protected. One Would Think the Deep is set in the 1990s and submerges the music of this era into the struggles of Sam who is suffering from grief and rage after the death of his mother. The authoritative evocations of the ocean and surfing reflect his passion. Congratulations also to the highly accomplished honour books in this category. They are both also remarkable and world class: Words in Deep Blue by Cath Crowley (Pan Macmillan Australia) and The Bone Sparrow by Zana Fraillon (Hachette Australia). I’ve written more about this impeccable trio of novels previously, as well as about the shortlisted books in this category. I am also very excited by the Book of the Year: Early Childhood winner, Go Home, Cheeky Animals! (Allen & Unwin) written by Johanna Bell and illustrated by Indigenous man, Dion Beasley. It is such a cheeky, joy-filled story; perfectly structured. The illustrator also sells his work in the form of t-shirts and other merchandise on his website. 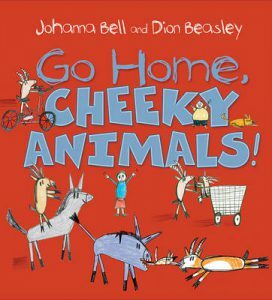 The honour books in this category are also excellent examples of texts for young children. Nannie Loves by Kylie Dunstan (Working Title Press) has nostalgic-looking but bright tissue-paper collages and Gary by Leila Rudge (Walker Books) is an ingeniously structured tale about a homing pigeon who can’t fly. I’ve written more about the Early Childhood books for the blog here. 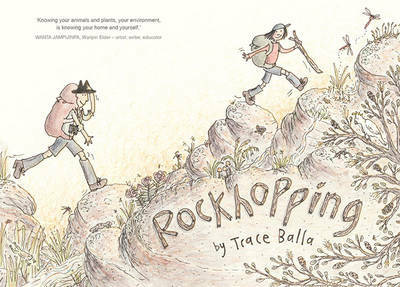 Another picture book with appeal to young readers won Picture Book of the Year. 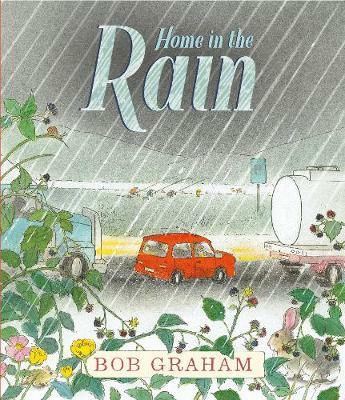 Home in the Rain (Walker Books) is Bob Graham’s seventh CBCA win. He is a maestro and this book equals his magnificent best even though it takes place in the unlikely setting of a car in the rain. The Picture Book honour books are written by the affable and inventive Lance Balchin with Mechanica (The Five Mile Press) and talented writer for a range of ages and genres, Maxine Beneba Clarke with The Patchwork Bike (Hachette Australia). Van T Rudd has expressed movement and community in his street art inspired illustrations of the bike and its creators. I’ve written more about these books here and elsewhere in the blog, including how to share the books with children. Book of the Year: Younger Readers has been won by Trace Balla’s entertaining and comprehensive depiction of a trip through the Grampians in Rockhopping (Allen & Unwin). Honour books are Wendy Orr’s masterful, myth-inspired novel Dragonfly Song (Allen & Unwin) and the comical Captain Jimmy Cook Discovers Third Grade written by Kate & Jol Temple and illustrated by John Foye (which completes the A&U triumvirate of winners in this category). I’ve written previously about the books for younger readers here and elsewhere in the blog. The Eve Pownall Award for Information Books has been won by the informative, traditional Amazing Animals of Australia’s National Parks by Gina M. Newton (NLA Publishing). 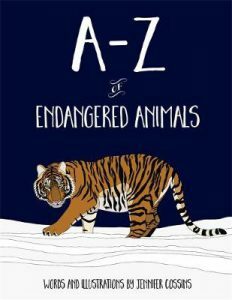 The honour books are the clear, well-designed A-Z of Endangered Animals by Jennifer Cossins (Red Parka Press) and the fascinating The Gigantic Book of Genes by Lorna Hendry (Wild Dog Books). I’ve written more about these books here and elsewhere in the blog. Congratulations to all the winners and everyone who was shortlisted this year. Thank you to the judges and all the volunteers involved in the CBCA. The Eve Pownall Information Books this year span the ABC, animals and history. They highlight several small, independent publishers, who should be congratulated on their excellent publications. 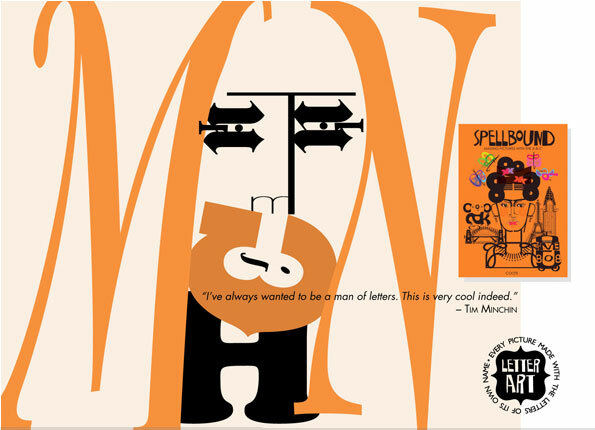 Spellbound also won a 2017 Bologna Ragazzi Award. 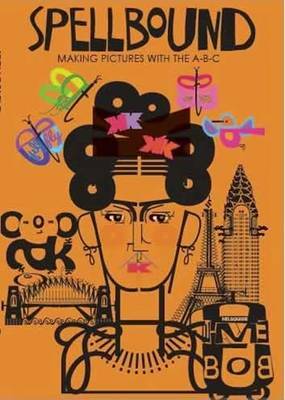 It’s a large, sumptuous hardcover in three parts: architecture, animals and people, and features typography (letter art) where images are created from letters that spell their names. Young children could find the letters in the illustrations. Older readers could appreciate the typographic poetry (shape poetry) where the meaning of the text is enhanced visually. I spoke to the creator, Maree, on the day before she flew to Bologna to receive her award, who explained that she has restricted herself to using existing fonts. There are three levels of difficulty within the book’s examples: 1. any letters that inspire a picture can be used 2. only use letters of the correct spelling of the subject’s name 3. only use correct spelling and only 1 font per letter (see page 3). Children could use Macs, or equivalent, to create their own letter art. There is even a mini tutorial on how to create animals using only letters. The Introduction explains how the high animal extinction rate is due largely to humans, and also introduced species such as rabbits and foxes, in Australia. Everyone can help by reusing and recycling, keeping beaches clean and not wasting water. The book is well-designed; it’s clean and clear. It is structured with one animal representing each letter of the alphabet. Information on the left-hand page includes conservation (e.g. endangered or vulnerable) status; current population; description of the animal and where it lives; and an interesting fact such as no two tigers have the same striped pattern, and eastern gorillas use basic tools to gather food. Each animal is illustrated on the opposite page. 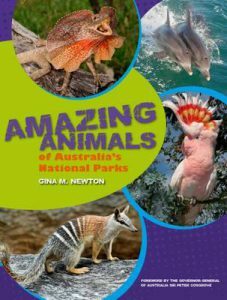 Primary-aged children could focus on Australian endangered animals and present information using the same format, possibly to make a class book. Like A-Z Endangered Animals, Amazing Animals of Australia’s National Parks shows which species are endangered, vulnerable or threatened (their conservation status). Every state and territory is included, so readers may be able to visit one. The structure is organised by environments and habitats such as woodlands and grasslands (the Bush), wetlands and waterways, arid zones and coast, oceans and islands. Each habitat has a double page, followed by one page each for selected animals. There are high-quality photos, interesting ‘fast facts’ and a glossary. I will write about the 3 other Eve Pownall shortlisted books in another post.